Natural disasters have been intensified and also deeply affecting the islands in the Caribbean. Temperature rise, the melting poles and therefore water rise implicate a risk for current habitants within the islands. 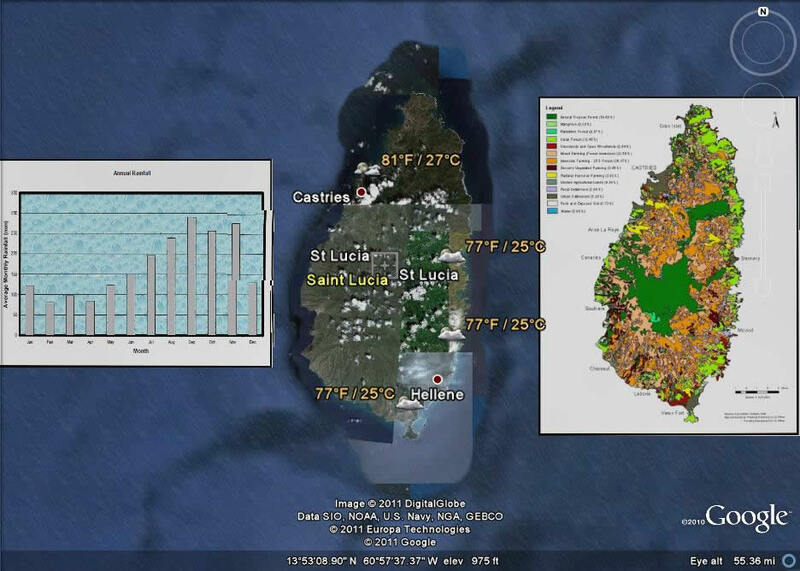 This case study seeks to analyze the effect of climate change on Saint Lucia. Like other island nations, it faces extreme vulnerability to projected climatic changes such as sea level rise and the increased intensity and frequency of extreme weather events. These events entail environmental, social and economic consequences. The case study below states the current state of the island considering three key sectors of the economy: agriculture, fishing and tourism highlighting the vulnerability and possible breakpoints to consider reducing climate's change impact in current and future conflict. 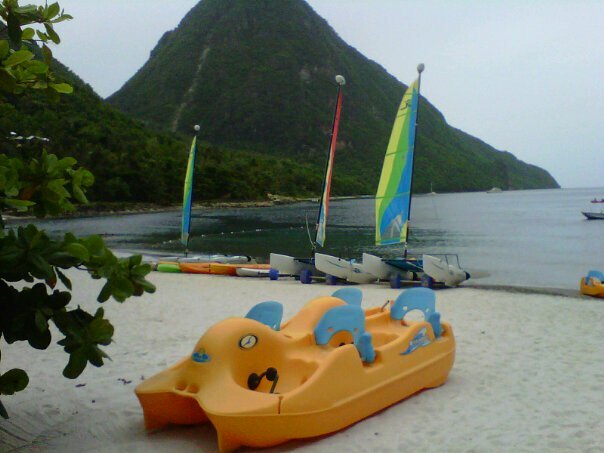 Saint Lucia is the second largest island of the British Lesser Antilles. Castries, the capital city, is situated on the northwest coast and known for its magnificent harbor. The island was named for the patron saint of the day on which it was discovered, has an uncommon heritage of mixed cultural and historical influences, including Amerindian, European, and African. This is an English-speaking, developing Caribbean island nation. The island's flag has four distinctive colors that describe its character. The blue represents fidelity, their sky and surrounding waters of the Caribbean Sea and the Atlantic Ocean. The Gold represents the island's distinctive sunshine and its prosperity. The black and white reflects the cultural influences of both races. The triangles seek to represent the island's famous twin Pitons at Soufrière, one of which is shown in this webpage's banner. Traditionally, agriculture (mainly bananas, but also cocoa, coconut, citrus fruits, and livestock) and fishing have provided Saint Lucia's main sources of income and employment. Nevertheless, due to the island's natural wealth, tourism has become a major and growing factor of its economy. Responding to a variety of environmental and developmental issues, the legal declaration of marine reserves and fishing priority areas in the island began in the early 1980s. These efforts were mainly designed and implemented without the participation of resource users implying considerable loses and conflict. Considering the expansion of the tourism sector, technological changes in the fishing industry, and an increase in negative impacts from land-based activities, notably agriculture, industry and construction, conflict arose dramatically. These conflicts became evident due to increased competition between seine fishers and yachters over the use of fishing areas, disputes between pot fishers and recreational divers over the use of reefs, restriction of access caused by the construction of coastal jetties and new hotel sites, and local opposition to central government's management activities and zoning decisions. In response to these events, the Department of Fisheries, Regional Development Foundations and the Caribbean Natural Resources Institute, began consultations since 1994 to the determine new management arrangements for the area. Although the conflicts' stress factors were diminished, the crescent effect of climate change on Saint Lucia's ecosystems, the saline intrusion into freshwater aquifers, the coastal flooding and the erosion due to sea level rise reduces the potable water availability and the local resources for agriculture and construction of tourism facilities are facilitating new conflict scenarios between the stakeholders. The Eastern Caribbean region consists of a chain of tropical islands between North and South America and east of Central America. The region is divided into two major zones: The Leeward Islands or Greater Antilles (north) and Windward Islands or Lesser Antilles (south). St. Lucia is the second largest located in the Windward group. This small island developing state (SIDS) is positioned south of Martinique and north of St. Vincent. Due to its location, the island faces extreme vulnerability to projected climatic changes such as sea level rise and the increased intensity and frequency of extreme weather events. Saint Lucia faces extreme vulnerability to projected climatic changes such as sea level rise and the increased intensity and frequency of extreme weather events. These events entail environmental, social and economic consequences. According to the NGO Climate Lab and the studies developed by the Jamaican Information Service Center on SIDS, environmental variables are the most unpredictable and therefore are usually considered as external variables in forecast models. Nevertheless, as consequences of these phenomenons turn more tangible, a need for clear indicators has been recently identified. Although climate change embraces multiple environmental variables and natural disasters, hurricanes, sea level rise and temperature are the three variables that are considered to change the island’s environment more deeply. On the other hand, social and economic factors may be more manageable and predictable than the environment. Considering that an island has clear terrain barriers that can't be surpassed, the space limitation determines the resources available for the Saint Lucians. The island is considerably rich in terms of coastal fishery resources, agricultural fertility and tourism potential. These three elements are the primal income sources for the locals but the resource limitation implies that one sector's growth diminishes the other two income rate. Additionally, saline intrusion into freshwater aquifers, the coastal flooding and the erosion due to sea level rise reduces the potable water availability and the local resources for agriculture and construction of tourism facilities. The effect of a strong resource limitation brings to the table tension and conflict triggers that may result disastrous if not managed adequately. Although the Caribbean has frequently been characterized as a peaceful area, the limited resources caused or swiped off by natural disasters and climate changes trigger civil stress and conflict in the local habitants. The land and water resources scarcity does indeed affect the number of conflictive situations that seek to obtain part of limited resources aggressively. Traditionally, fishermen were the primary users of the marine zones and farmers of the island's terrains. Nevertheless, with a rapid growth of Saint Lucia's tourism, traditional users find themselves competing on a daily basis with it. Marine ecosystems have currently a growing mass of scuba divers and yachters that want to appreciate the reef richness, interfering with fishermen's work. Moreover, established farming land is now rousingly competing with hotel construction sites that seek to hold the tourist increasing demand. 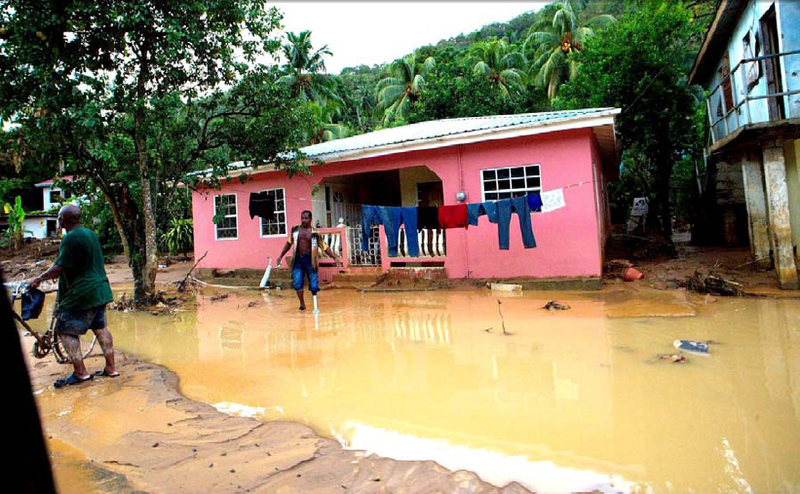 Temperature rise, the melting poles and therefore water rise implicate a risk for current habitants within Saint Lucia. Like other island nations, it faces extreme vulnerability to projected climatic changes such as sea level rise and the increased intensity and frequency of extreme weather events. Because of its low-lying location relative to sea level and high exposure to extreme weather, impacts expected include increased damage from weather events, amplified drought conditions, changes in agricultural patterns and the sinking of low-lying areas. 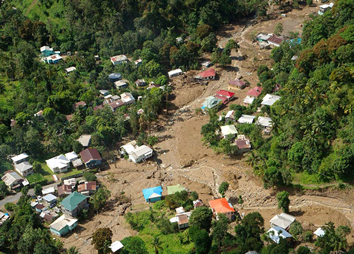 On November 2010 Saint Lucia was severely hit by Hurricane Tomas. There was a significant damage to all tourism infrastructures due to flooding and the strong winds. Also, as rivers grew and their capacity became unstable agriculture and villages that were nearby were deeply affected. Saint Lucia covers a land area of 619 Km2 according to the US Department of State (US Department of State, 2010) and has an estimated population of 172,091 (World Development Indicators and Global Development Finance, 2009). The country is highly dependent on exports, including bananas, clothing, cocoa, vegetables, fruits, and coconut oil (Climate Lab, 2009). The island is of volcanic origin and very mountainous. Like other island nations, it faces extreme vulnerability to projected climatic changes such as sea level rise and the increased intensity and frequency of extreme weather events. St. Lucia's yearly average temperature is 80°F average and the island is highly vulnerable to hurricanes, which hit the Caribbean during the late summer months. According to Government of Saint Lucia, the island suffers of major hurricane risk between June and October and threats of tropical storms through November (Government of Saint Lucia, 2001). In the diagram above the left graph shows the regular Annual Rainfall behavior according to this report. Also, on the right end of the illustration, the land use map of Saint Lucia is described according to the Ministry of Agriculture, Forestry and Fisheries. It evidences the strong tendency towards agriculture (colors pink, brown gold and yellow) of the island and the importance of farming on its survival. Saline intrusion into freshwater aquifers, the coastal flooding and the erosion due to sea level rise reduces the potable water availability and the local resources for agriculture and construction of tourism facilities in Saint Lucia. More people imply an increase in food needs, housing and methods of transportation. Therefore, demand for burning of fossil fuels, more agriculture and further deforestation diminishes resources with an already limited space and capable sustainability for Saint Lucians. New sources of CO2 and methane emissions and less trees that convert CO2 to oxygen are available due to deforestation to compensate farming land needs. Taking into account that natural disasters are also present, Saint Lucia embraces a complicated breaking point. Considering the geographic location, currently the conflict present at Saint Lucia is mainly civil due to limited resource access caused by either environmental, social or economic consequences. The island uses coastal fishery, agriculture and tourism as primal income sources but the resource limitation implies that one sector's growth diminishes the other two income rate. Additionally, natural disasters or environmental variations reduce the local resources for development. The effect of a strong resource limitation brings to the table tension and conflict triggers that may result disastrous if not managed adequately. Although currently the conflict maintains in a local / national level, considering the land limitations that with sea level rise become more imminent, massive illegal emigration to neighbor nations is very plausible. Saint Lucia was colonized during the mid-seventeenth century by a French settlement in 1660. Military conflicts among the Dutch, British, Spanish, and French, both on the European continent and in the colonies, resulted in Saint Lucia's falling alternately under the control of France and Britain fourteen different times in the eighteenth and early nineteenth centuries. From 1793 until 1815, the island was captured alternately by France and Britain at least 7 times. The French permanently ceded the land to the British in 1815. 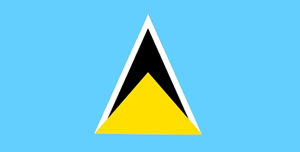 Saint Lucia was administered as a crown colony from 1838 until 1885 and during the twentieth century the island gradual transitioned to self-governance. The current level of conflict has been controlled maintaining it low. The process has been held jointly with representatives of most of the stakeholders in order to fully identify and express their concerns and recommendations. As climate change affects the island, conflict may rise to a medium level. Therefore a need to redefine the joint efforts previously organized within the new realities and needs to be considered in order to maintain peace in Saint Lucia. Saint Lucia's government does not have official records of fatalities due to conflict between the stakeholders of the three sectors examined (Fishermen, Farmers and Tourists). The complexity of climate change consequences and how it may trigger conflict in Saint Lucia is not easily traced as there is not a linear causality but it is part of an actual system where circular chains of cause-and-effect are present. In order to draw a complete picture of the environment-conflict link and dynamics, a Causal Loop Diagram (CLD) is brought to the table. Saint Lucia faces extreme vulnerability to projected climatic changes such as sea level rise and the increased intensity and frequency of extreme weather events. Although climate change embraces multiple environmental variables and natural disasters that affect the island, hurricanes, sea level rise and temperature are the three variables considered in the model as they are the factors that are thought to affect the island's environment more deeply. As temperature rise hurricanes and sea level will also increase and therefore less natural resources will be available (farming/constructing areas, ocean biodiversity, etc.). The effect of a strong resource limitation brings to the table tension and conflict triggers. Saint Lucia's primal income sources are based on coastal fishery resources, agricultural fertility and tourism potential. Each sector and their related local community have a positive causal loop between them. Thus, as Fishery Activities grow, the Fishermen obtain more income and when this happen there is a higher amount of Fishery Activities that will take place as this is a prosperous sector. 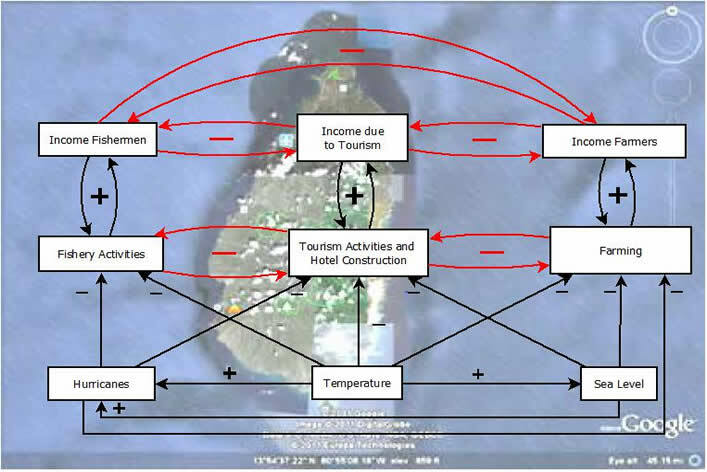 The same causalities take place among the "Income Farmers"-"Farming" and "Income due to Tourism"-"Tourism Activities and Hotel Construction". However, the resource limitation shows a negative causality as the growth of one sector makes the other two diminish their income rate proportionally. Traditionally, fishermen were the primary users of the marine zones and farmers of the island's terrains. Nevertheless, with a rapid growth of Saint Lucia's tourism, traditional users find themselves competing on a daily basis with it. On the other hand, marine ecosystems have currently a growing mass of scuba divers and yachters that want to appreciate the reef richness, interfering with fishermen's work. Moreover, established farming land is now rousingly competing with hotel construction sites that seek to hold the tourist increasing demand. As there are limited resources and at the same time they are swiped off by natural disasters and climate change, the income limitation triggers civil stress and conflict in the local habitants. The negative causalities are shown in red considering that are the limitations grow, civil stress will be caused by these interactions. Since Saint Lucia is a small island developing state as an isolated island nation, their conflict would be mainly local. However, in extreme scenarios a spillover effect may take place within migration of neighbor SIDS and other American nations. The situation is in progress and there is not a current outcome. The conflicts may be ongoing even if decisive action taken on the state levels to determine land use rights in the Saint Lucia. Tension over resources available in land water and the rights that the actors have over the resources and their income. Government of Saint Lucia. (2001). National Report: Integrating Management of Watersheds and Coastal Areas in St. Lucia.